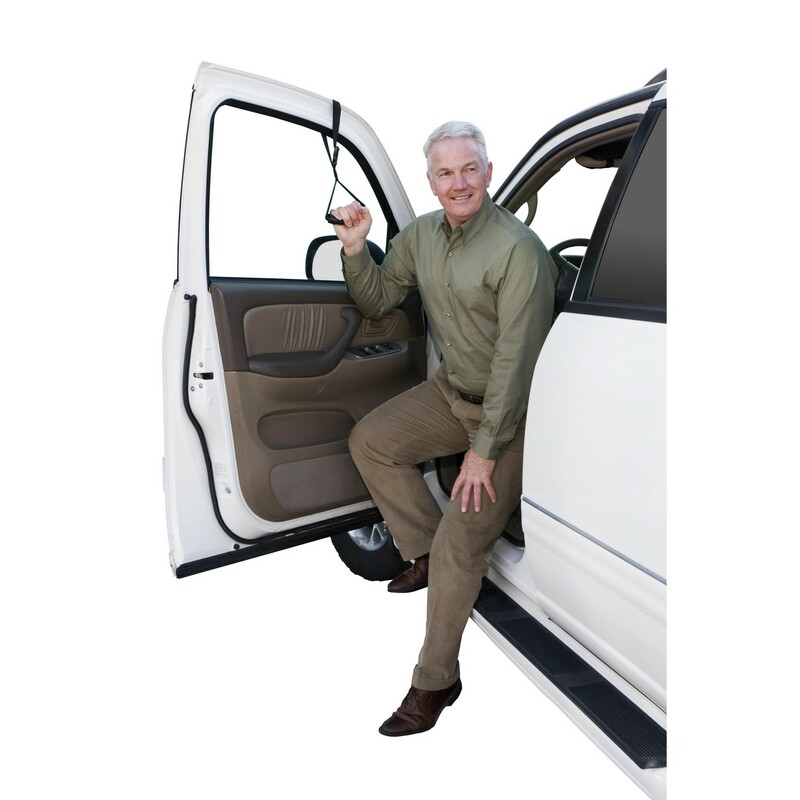 The Car Caddie from Stander is a portable handle that offers you stability and ease when getting in or out of a car, van or truck. 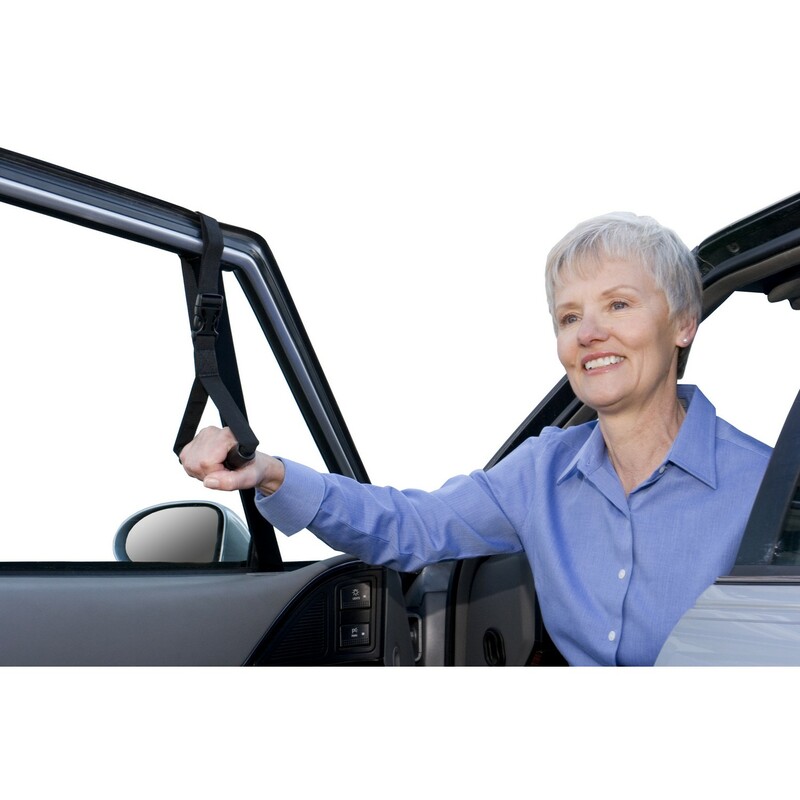 It is an excellent tool for people with limited mobility. The Car Caddie has a simple yet effective design that makes it easy to install. 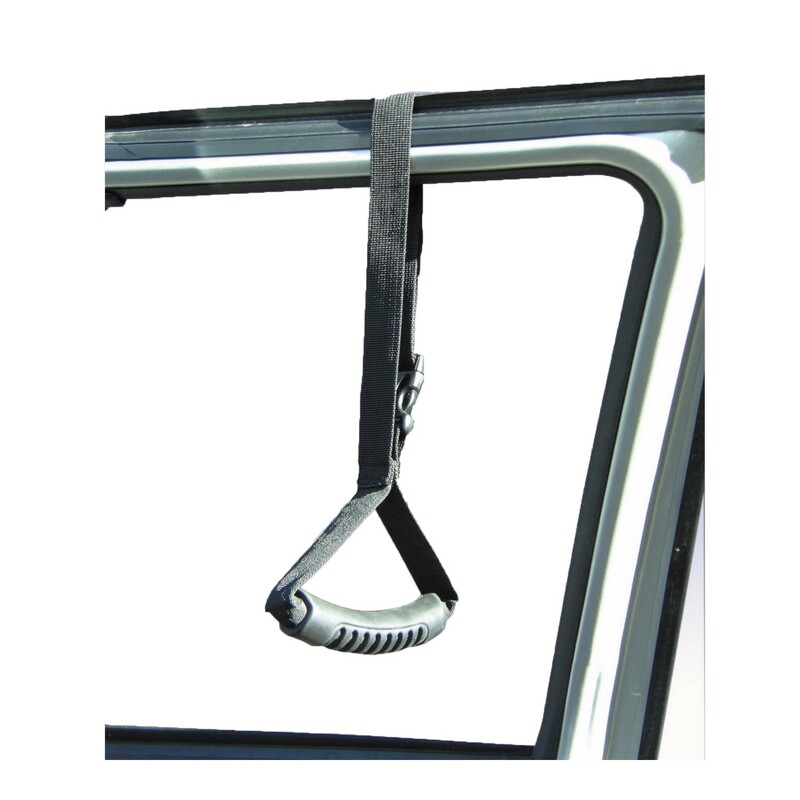 Simply roll down your window and put the end of the Car Caddie strap around the top of the window frame. Then snap the buckle in place, adjust the handle height, and roll up the window - that's it! And because it isn't permanently installed, and has an adjustable strap, you can carry it with you to use in other vehicles. The Car Caddie strap is made of durable, long lasting nylon. The cushion grip provides a comfortable gripping surface. The buckle has an ergonomic design making it easy to open and close.